Can you name a software solution for your nonprofit that you could honestly live without? It’s a popular question for your smartphone or laptop– could you live without it? Sure, but start thinking of all of the things you’d have to do differently or couldn’t do at all. Could your nonprofit really live without its donor CRM, social media management tools, fund/grant accounting solutions, program tracking, and online fundraising? Maybe, but it would be incredibly difficult. Today, computers, smartphones, and many other devices we use every day have the benefit of working without our having to be a technical genius. Thank goodness for that. The early part of my career was all hardware-related. From Dell in the early 90’s, to systems management and consulting in the late 90’s– it was about hardware, or services supporting hardware to work correctly. In the last couple of decades, the entire market has moved away from hardware as the solution to software applications that can run anywhere. I’ve been fortunate to spend the last nineteen years working specifically with nonprofit organizations on this transition. In that time, all the ways we now use software solutions to run the business of our nonprofit work have gone from testing, to nice-to-haves to (pardon the pun) “mission” critical applications. We’ve come to expect more and more of our daily work to be done in software, managed in digital formats, and communicated via online cloud solutions. We’ve moved the complicated portion of working with technology from the big box of something in hardware to the software programs we work in all day long. This means the work of our nonprofit is truly dependent on numerous software solutions in order to have the mission impact desired. There are apps we all use on our phone or tablet. However, the real work is truly done by the business-specific applications we utilize through a work server or in the cloud. These systems can be complex to implement, difficult to learn how to change and adapt to, and even more so to transition out of. Another growing challenge is ensuring that data does not get siloed so that it’s not hard to access or move when needed. The third panel of this triptych is knowledge. Hardware is easier than ever, especially when reliance on it is lessened by the availability cloud solutions. Software is more powerful than ever to support the work we need to do. The key to being able to successfully leverage these gains in technology is the proper application of knowledge and expertise. The efficacy of nonprofit programmatic and fundraising success lies with the individuals and teams that understand how to blend together nonprofit expertise with software excellence with process/change management understanding. That combination is what truly unlocks the potential of the software and will support the creation of real mission impact. This post marks my first as a team member at the Zuri Group. I’m excited to be joining a team that encompasses all of the qualities and expertise I’ve mentioned here. 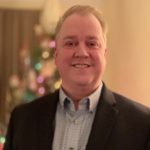 Andrew Urban has over twenty-five years of experience in technology solutions and is passionate about technology being expertly applied to achieve nonprofit mission success. His book, The Nonprofit Buyer, details best practices for nonprofits buying processes to ensure “Return on Mission”–the marker that marries traditional ROI to mission impact. Want to find a way forward for your nonprofit organization?